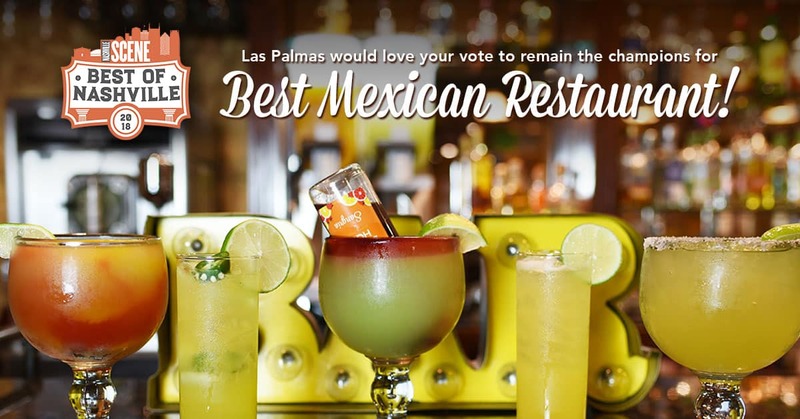 We would love your vote here to remain the champions of Best Mexican Restaurant in the Nashville Scene’s Best of Nashville Awards. Family-owned and locally-operated, we’ve proudly served our community with fresh, authentic cuisine since 1990. Cast your vote here! Voting ends September 6th.